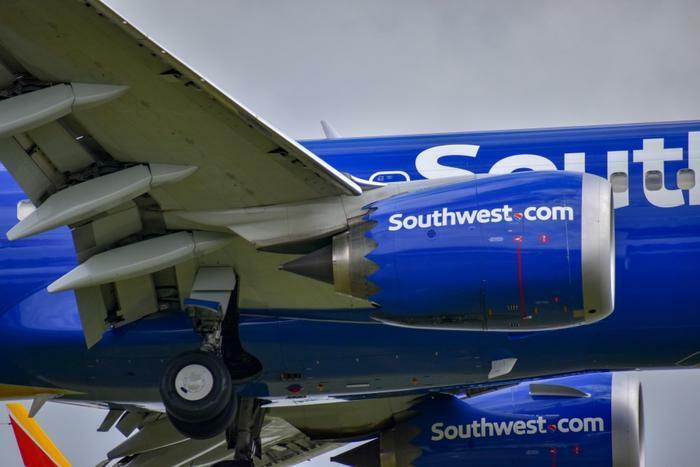 Following the recent crash of another aircraft of the same model, a Southwest Boeing 737 Max 8 was forced to make an emergency landing in Orlando on Tuesday after reporting an in-air problem. Southwest said that the flight was forced to return to Orlando International Airport on Tuesday afternoon due to a “performance issue with one of the engines shortly after takeoff.” This differed from the previous in-flight incidents, which were linked to an automated system which caused the planes to nosedive. The airline carrier says that the plane was not carrying any passengers, as all flights involving the Boeing 737 Max 8 have been grounded due to an emergency order issued earlier this month by the U.S. Department of Transportation. The in-flight issue is likely to create another headache for Boeing. Earlier this month, one of its 737 Max 8 aircraft flying for Ethiopian Airlines experienced a tragic crash in which 157 people on board were killed. The accident happened only five months after another aircraft of the same model crashed into the Java Sea. Regulators speculate that the crashes can be attributed to one of the monitors on the outside of the planes that monitors the angle of ascent. If the monitor determines that the plane is climbing too steeply, it triggers a correction that brings the nose of the plane back down. Several federal agencies, including the FBI, are now investigating the certification process for the planes and whether or not proper protocols were followed. Reports indicate that regulators are also looking into how Boeing marketed the aircraft and what kind of training and information it gave to pilots.